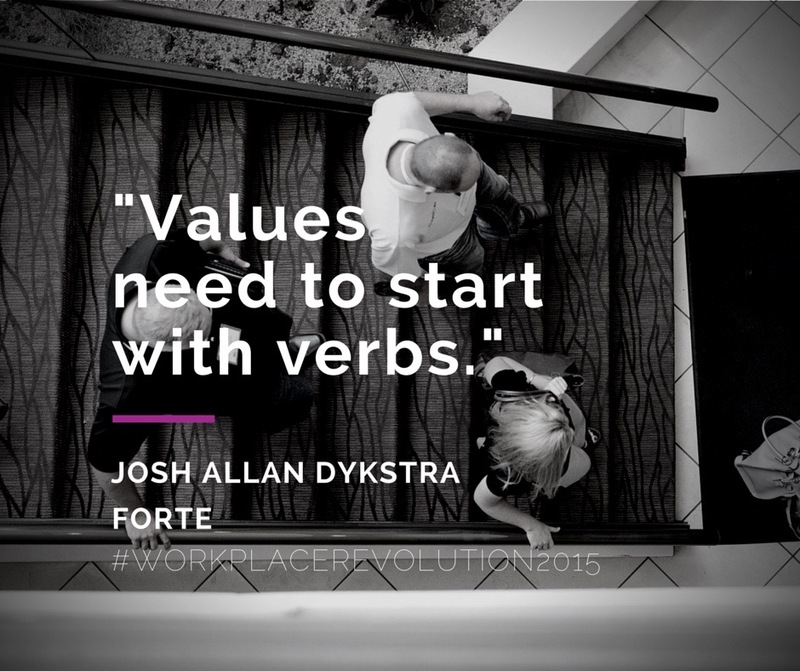 I had the pleasure to be part of a panel at the Workplace (R)evolution 2015 conference this week. In preparation for the questions I was asked to be ready for I wrote down a few of my thoughts, and wanted to share them here! I’m so glad I got assigned this question, as it’s been my obsession for almost a decade…! When I first started thinking about the notion of changing culture, I was working inside a nonprofit organization as an employee. Of course, in that situation a company’s culture has a lot of personal impact on one’s life — my own wellbeing was profoundly influenced by how great (or not-so-great) our culture was. Then I went to grad school, where we focused on this issue pretty relentlessly via academic studies and research. After that I wrote my book so I could explore it even more deeply. 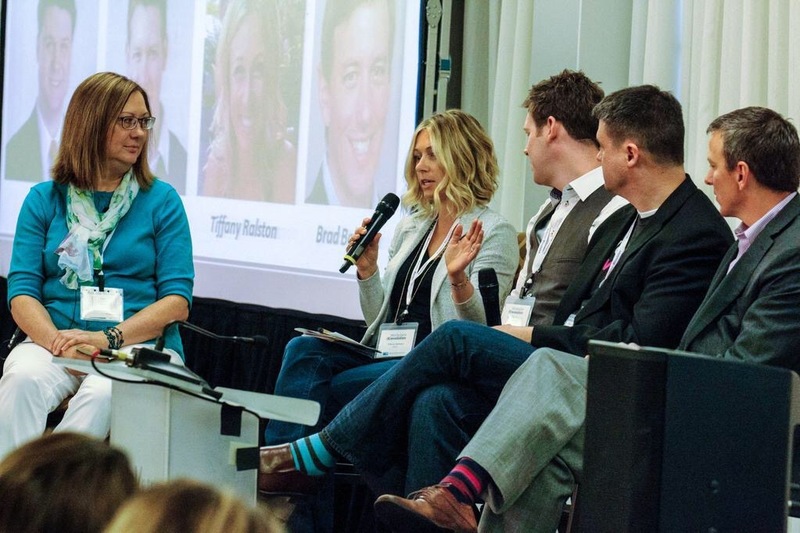 When we launched the Work Revolution project a couple of years ago, our focus was always on the revolutionaries who were actually out there on the front lines making an impact on culture change. And today, this is why my consulting company, Forte, exists at all — to help leaders create cultures that can propel and accelerate their businesses. Here’s what we know from the latest research: At least 70% of the variance in employee engagement is attributable to managers, and only one in ten people have high natural talent to be managers/leaders. If that weren’t bad enough, we are terrible at even getting that one person right — we pick the wrong person to lead our teams 82% of the time. Here’s the good news: even though only one in ten are natural leaders, two more out of that ten could be great… IF we gave them the proper education and training. When you think about culture from this perspective, it’s really not a mystery where to start: we need to make better leaders. TAKE YOUR TIME — Our program really is an experience, a practice, that takes place over the course of 6-12 months. A lot of things can be sped up in business, but transformational growth isn’t one of them. CHANGE WORKS BETTER WITH A BUDDY — Build in peer accountability; triads are ideal. FOCUS ON TWO FUTURE SKILLS — The leaders of tomorrow need two very important skills: they need to be able to model the behaviors they wish to see and they need to be able to hold space for others. Focus your development efforts not on the “tips and tricks” of leadership, but on helping your leaders become better human beings — and then connect the dots to good behaviors and why they matter to the business. CREATE A VENUE — Whoever is facilitating (you!? ), it’s that person’s job to create a venue where managers/leaders have a moment to stop, pause, think, and ponder the power of their own influence. Every leader we work with thinks they are the busiest person in the world, which, of course, by the definition of “busiest” can’t be true, but the perception feels true. They need a venue where they can “zoom out” and think about how they’re showing up, what would make them more effective, inspirational, etc. — you can help build and hold that space for them. I hope you’ll take these ideas and start building leadership development experiences that can help our leaders become the people we need them to be! BONUS QUESTION: We were also asked to think about a question we might get to answer — I didn’t have a chance to respond to this one live, so I thought I’d post what I would have said here! What has been your biggest surprise or “eye opening moment” as you’ve worked on workplace culture initiatives? If we look at the top 150 economic entities in the world, 58% of them are corporations. Let me repeat that: out of the top 150 economic entities on the planet, more than half of them are not countries, nation states, or governments — they are COMPANIES. I probably don’t need to convince you about the vital urgency of a workplace revolution, but I hope this inspires you to keep going. The world desperately needs the work you do to make workplaces more human and meaningful. One more thing… the topic of how organizations live their values seemed to come up a lot for me during the panel session. Somebody from the conference made this image — I love it, and thought you might enjoy (or want to share) as well!